America Makes, has awarded $800,000 in matching funds to Arizona State University(ASU) for a Directed Project Opportunity to advance post-processing methods for additive manufacturing. This project includes Phoenix Analysis and Design Technologies (PADT) an Arizona-based engineering and 3D printing service provider, high-pressure technology specialist Quintus Technologies, and Phoenix Heat Treating, a provider of metal heat treatments. “Our ongoing partnership with ASU has allowed us to perform critical research into the advancement of 3D printing,” said Rey Chu, principal and co-founder, PADT. America Makes, the Ohio-based additive manufacturing accelerator, as well as the Air Force Research Laboratory (AFRL) and the National Center for Defense Manufacturing and Machining (NCDMM) have funded this ASU-led project. With support from partners in metal manufacturing, the objective of this research is to produce process controls, certified processes, and the qualification of materials and parts in post processes. Also, the project intends to drive post-processing costs down, making 3D printing more accessible. In support of this project, PADT is responsible for providing geometry scanning capabilities, as well as technical expertise. The company has developed its Support Cleaning Apparatus (SCA) system which removes FFF support material to decrease post-processing time and labor costs. The SCA 3600 and SCA-1200HT, PADT’s two support cleaning system. Image via PADT. The SCA systems clean 3D printed parts created on Stratasys 3D printers. The systems work with Soluble Support Technology (SST) materials such as ABS, polycarbonate, nylon and PolyJet resins. By setting the appropriate time and temperature, the SCA gently agitates the part in a heated cleaning solution, dissolving any support material. This project is the second federally funded research project that both ASU and PADT have contributed to in 3D printing since 2018. The first project received a $127,000 NASA STTR grant to accelerate the development of bioinspired 3D printed structures which will ultimately enable strong and lightweight parts for use in spacecrafts. 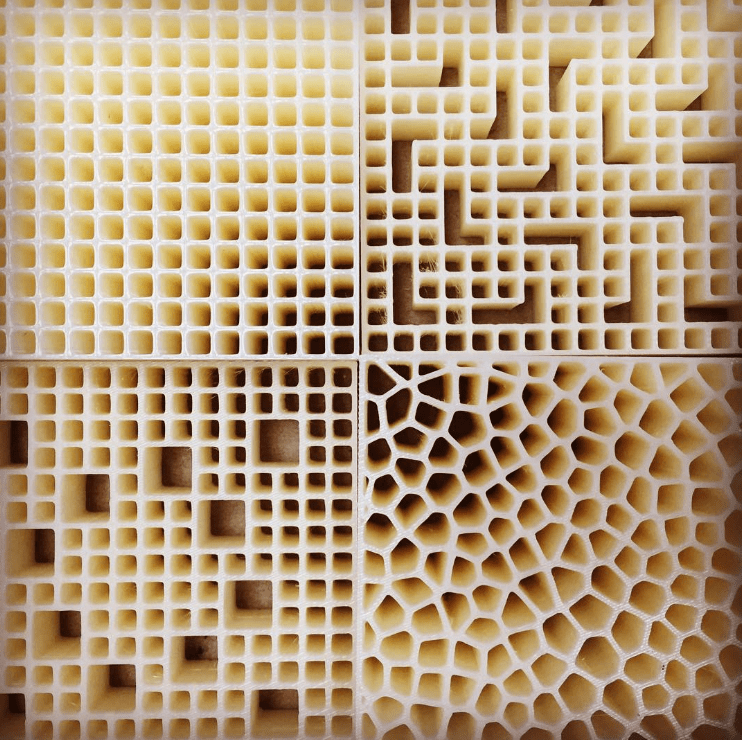 3D printed prototypes of honeycomb structures.